and also can be used as a gym bag and fit for your basic gym needs. 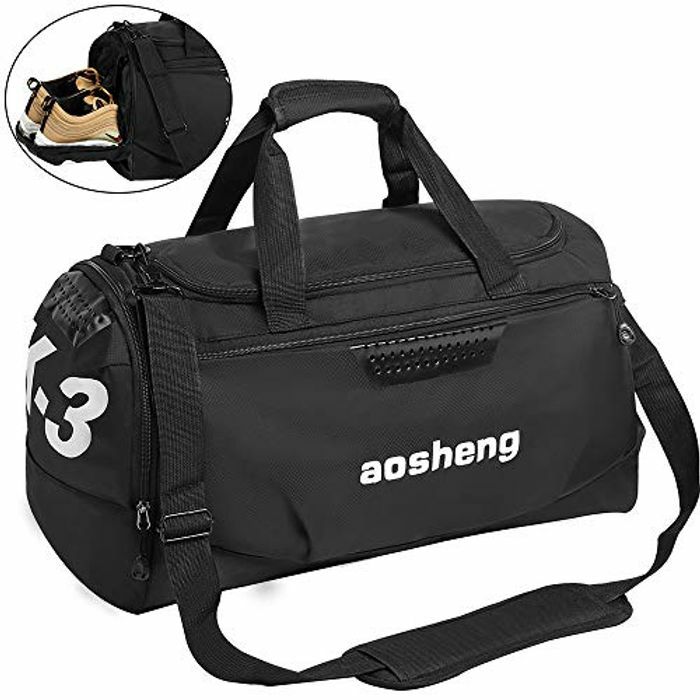 *The gym bag is is designed with waterproof lining and ventilates air hole, the shoe pocket can take up to 30 cm shoes. * The sports holdall bag is size of the shoulder bag is approved for most airlines for the flight, perfect as handbag for a short trip. * You can use it in situations such as travel, outdoor sports, school, work, daily and etc., and it is also suitable for men, women, students of all ages. Good price and great find! Another item for the shopping list. Thank you for sharing. wow,thx for sharing this amazing deal can't wait to get it.